FORT GREENE, Brooklyn (WABC) -- A person fell down an escalator at the Atlantic Terminal Mall in Brooklyn causing several others to fall in a chain reaction. It happened around 6:30 p.m. Tuesday. Seven people were taken to the hospital, two in serious condition. Five others suffered minor injuries. The mall remains open, but the escalators are out of order. 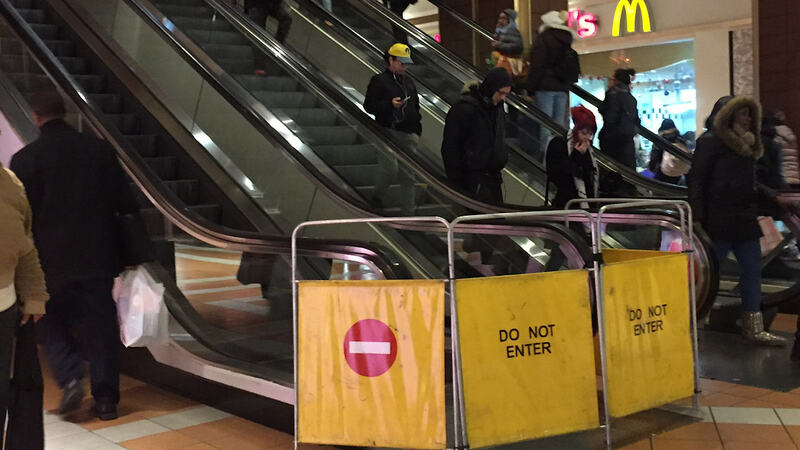 According to a witness, people were walking on the escalator which was not moving at the time. All of a sudden, the escalator started moving, causing the first person to tumble.